This inflatable car wash / inflatable misting tent is as unique as it appears. 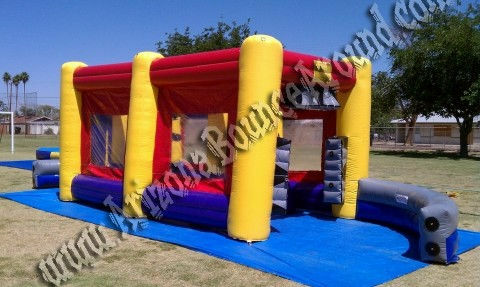 This inflatable can be a great addition to any event or hot summer day! The car wash can also be used as a misting tent. Whether a party at your house, school or sports game, you can enjoy it in style. 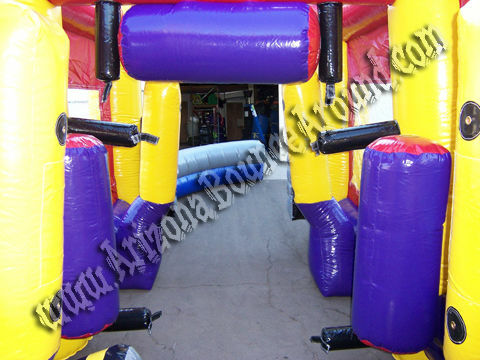 It is lined with misters to keep you cool during the hot Arizona summer. 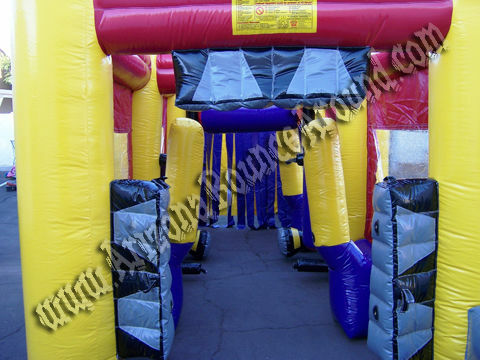 Add our bumper cars to your misting tent rental for a real car wash effect if used on concrete or other hard surface. 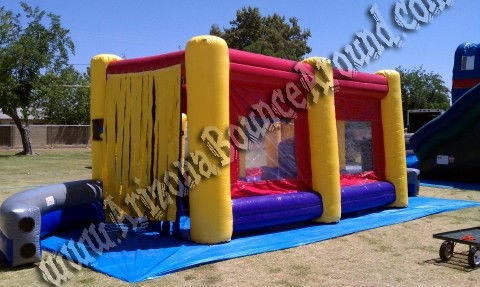 Inflatable misting tent price includes standard set up. Standard setup is considered an area within 80 feet of sufficient electrical and water supply. Delivery and removal within included delivery area with no restrictions for delivery, set up or pickup.